We all need support from time to time. We are not broken. And we do not need to be fixed. Though sometimes, we forget our own magnificence depending on our outward circumstances and we can all use a little tune-up and body balancing to realign to our truth, our own power and the pure essence of who we are. Miracles are possible. It all starts with awareness of self, choice and intention. An Intuitive Healing Session is incredibly safe, incorporating the gentle intuitive guidance from your Akashic Record and the transformational healing of the Light Body Illumination method. By removing energetic blockages and gently reprogramming and releasing any limiting patterns or belief systems, we can unlock your unique gifts and talents that you are here to share with the world, align you with your divine truth and leave you feeling renewed, relaxed and recharged. All healing is done at a distance, as I tune into your energy field, zoning in on the energetic blocks, finding the root cause and clearing it on all levels of your being. Each intuitive healing session is unique and highly transformational. It is my Intention to be a Crystal Clear Channel for you on your healing journey allowing all information and healing to be from the Highest Source, and for your Highest Good. You are always in control, as we will only go as deep as you are ready and willing to. Energy always follows Intent, making profound healing and transformation truly possible! The Akashic Records are a mystical cosmic library of knowledge and information that stores the memories, experiences and beliefs of your Soul, from every single lifetime, including your current incarnation. We all have our own Akashic Record and it is protected by the Masters, Teachers and Loved Ones, whom we call the Record Keepers. They provide information that you are most needing to know at that time and it is always for your highest good. The information comes from the purest place of love and wisdom as you are receiving information from the Blueprint of your Soul. During a consultation, healing can happen very quickly as you are able to see where an issue began and clear it at the deepest root. Every session is unique but it is always gentle, safe and insightful, leaving you feeling clear with a greater sense of purpose, joy and ease. Fully align to your Life’s Purpose. Discover your unique gifts and talents. Heal and transform relationship patterns with family, friends and partners. Reprogram limiting beliefs and patterns that are blocking you from moving forward in your life, including past life issues. Gently release fear, doubt and emotional traumas that are stored in your body and energy field. Connect to the innate wisdom of your Soul, receiving clarity in all areas of your life, including previous lifetimes. Activate a deeper sense of joy, love, abundance, trust, hope, flow and much more in your life. See your own beauty and radiance as you connect to your divine truth. Truly understand that nothing is by chance, and you are here on this planet for a reason! WHAT IS LIGHT BODY ILLUMINATION? The Light Body Illumination method is an extremely gentle yet incredibly powerful form of distance energy healing. 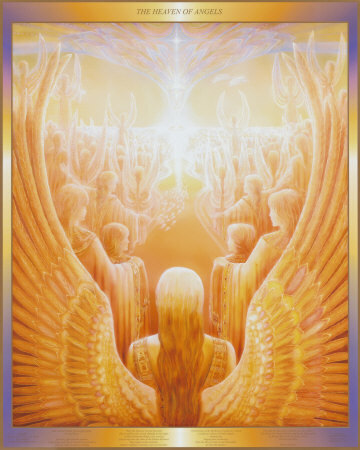 Years ago, while working with clients, I was intuitively guided for my intuitive healing treatments to transform into an all encompassing method which I call Light Body Illumination, that is beyond a specific modality but incorporates the use of Pure Light, Intuition, Reiki Energy, Crystals, Sound, and the support of the Angelic Realm and Healing Guides, unlocking any stuck energy within the body, balancing one back to the truth of who they are. 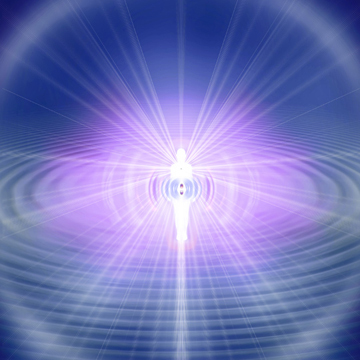 Light Body Illumination has been successful in clearing physical and emotional issues, trauma, injuries and pain. Our bodies are incredibly intelligent and intuitive beings, and will constantly give us warning signs of what we need to look at in our lives, by storing fixed beliefs and repressed emotions such as grief, guilt, fear, shame, worry, anxiety, doubt, anger and sadness in our energy field,, cells and organs, creating physical and emotional pain and discomfort. The first step of DIS-EASE (the opposite of flowing ease) is an energy blockage, meaning, there is a stoppage of flow. When we shut something down or don’t deal with certain feelings or emotions, over time they form into patterns, programs or belief systems which will then manifest energetically as a blockage in the physical body. If the blocks are never cleared, eventually, that energetic block could manifest as disease or illness. Light Body Illumination removes “the cloak” that is weighing one down, gently releasing all that is no longer serving you. The clearings happen beyond time and space, and are transformative on a cellular and energetic level. The treatment itself is very calming and relaxing and leaves you feeling clear, like you’ve just had a gentle, energetic shower inside your being. 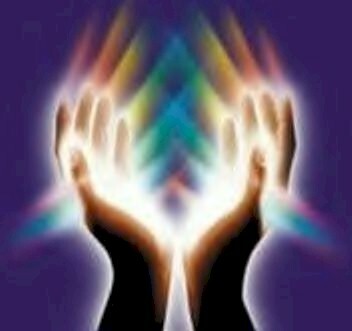 Reiki is a Japanese healing system that is administered by “laying-on hands”, whereby “Universal Life Force Energy” is transferred (channeled) through to the client’s body, clearing any blockages and helping the energy to flow in a healthy and natural way. A treatment feels like a wonderful glowing radiance of love that flows through and around you. Reiki treats the whole person including body, emotions, mind and Spirit creating many beneficial effects, including releasing stress and tension, dissolving addictive patterns, enhancing personal and spiritual growth, and increasing intuitive awareness. It also raises the vibration, and creates immense peace, relaxation, security and well-being. It has been effective in helping virtually every known illness and also works in conjunction with all other medical or therapeutic techniques to relieve side effects and promote recovery. Available by phone/skype to anywhere in the world. Please Note: I am currently not offering healing sessions due to my busy writing schedule. Thanks for your understanding! Your initial session tends to serve as an overview, dealing with bigger picture guidance, answering your specific questions as well as any issues needing immediate healing attention. Once you have scheduled your appointment time, I will forward you the PAYPAL link via email to make your investment.